The Baie d'Audierne was defended by several inland batteries of which three were protected by casemates. With a distance of 3.3 kilometers between each battery they protected the wetlands of Étang de Kergalan and Étang de Trunvel with the important factory. They also covered the three biggest places in the area, being Pouldreuzic, Tréogat and Plonéour-Lanvern. Between the Pouldreuzic and Tréogat batteries, near the coast at Crugou, a small artillery observation bunker was built. Together with several other fieldbunkers it directed fire for the batteries. 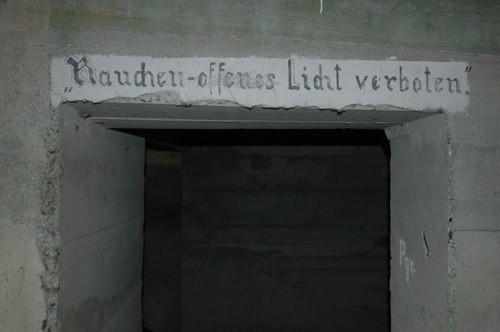 All the casemates survive and most of them have interesting instructions drawn on the walls. The casemates at Plonéour-Lanvern lie on private property and are quite hard to reach. Smoking and open fire prohibited!